It turns out that tough stone not only can hold a city together, but its unique properties are essential for the creation of great whiskey. 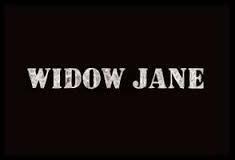 The owner of Widow Jane Distilling grew up enjoying the pure waters of the Widow Jane Mine. He now uses these unique waters to distill his artisan spirits in Red Hook, Brooklyn. Widow Jane Whiskey is a true New York City whiskey, evocative of both the rock that created the foundation for this city of skyscrapers and the forward looking, DIY spirit that has made Brooklyn the center of a new artisinal food and beverage movement. Aged for eight years, this bourbon earned the Double Gold Medal at the San Francisco World Spirits Competition in 2013.